How long have you been a nurse and what areas of nursing did you work in? I can’t believe that I have been a nurse over 35 years! In the hospital setting, I worked 10 years in Med/Surg and Critical Care Nursing and I still am nursing today, providing Medical Cost Containment Consulting for corporate clients and Business Development services for Nurses. I really enjoy being a consultant in both areas because reviewing medical records keeps me current with healthcare delivery and working with nurses inspires and continually challenges me. Can you share how your skills as a bedside Nurse and serving in the military led you to a successful career in healthcare data analysis, medical cost-containment and software development? Well first off, it never occurred to me to have a career working with data analysis and software development. What led me to that career transition was as a result of being burned out and I just had a strong desire to find another way to use my nursing knowledge. Desire and readiness was key to making that change. I interviewed for a Healthcare Resource Specialist position with a major insurance company that was going to allow me to work 9 to 5 and have weekends off. I was good with that! This was a care management type of role and my nursing experience came into play on a variety of medical issues facing claimants and claims examiners. I provided education and resources for beneficiaries, claim examiners and their extended family members. I loved the educational aspects to this role and a collaterally, I learned how to use a computer. This was the mid-eighties and very few people worked with computers. My role required a high degree of independent research and I discovered that I had a knack for analyzing data, reporting analyses and seeing trends. From serving in the Navy I gained confidence. There is a saying in the military that “it will either make you or break you” and I didn’t let it break me. You develop a confidence in situations that carries you throughout the rest your life. You definitely learn what is important and what is not important. It was a privilege and honor to serve our military and their families providing healthcare services. You are the president of National Nurses in Business Association. What are some of the interesting things you have seen Nurses do in business when they leave the bedside? Nurses can do anything so how much space do I have? Nurse Speakers, Educators and Instructors hold seminars and workshops that deal with the pressing needs of the community. They are addressing areas such as Health Literacy, Diabetic Education, Specific Dementia Disorders, Patient Advocacy, Elder Care and Stress Reduction. Health and Wellness Nurses have developed a myriad of services that include Exercise, Meditation, Reiki, Yoga, Disease Prevention and Laughter. Nurses make great Consultants since there are over 150 medical specialties and subspecialties in which nurses have nursing expertise. There are nurse inventors and product developers. There are also nurses that have become acclaimed Speakers, Authors and Experts with tremendous following on social media. Case Management is always evolving and it is amazing how nurses find niches to explore such as Life Care Planning and Geriatric Case Management is exploding in growth. Of course the best place to see this is in October at our 2015 Nurse Entrepreneurship and Career Alternatives Conference in Las Vegas this October 14-16th. https://nnbanow.com/nnba-conference-2016/ Nurses are very creative so there is no limit on how nurses are using their education and experience. What do you love most about nursing? That it is a profession that allows you to design a career around every stage of your life. I was a bedside nurse, case manager, utilization review manager, software designer and developer, a C-suite executive in the corporate world, a senior care company owner, author and entrepreneur. Each of these transitions and reinventions were a result of my life changing. My nursing career changed along with it. So opportunities are unlimited. What other profession can say that. I love how being a nurse has prepared me for achieving everything I have ever wanted in life. I’ve met so many people that tell me they never use their degree but I have never met a nurse that didn’t use her nursing knowledge. 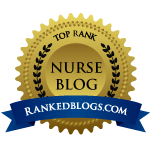 Tell me what you consider the biggest challenges or concerns about nursing today. My biggest concern about nursing today is stress placed on nurses by the hospital systems, which for the most part are large corporations. The number one cost center is the nursing staff and it is the first place they go with budgetary cuts. It is also the first place they go when there are new directives, software deployments and medical devices that need constant updating and training. The demand that nurses to be all things to all people is causing high levels of burnout and 40% of nurses that are dissatisfied with their work. What throws you off balance and how do you know you are out of balance? Taking on too much. I tend to overwork and over think. If that goes on too long I find I become ineffective and it doesn’t “feel good”. What brings you back into balance? Stopping what I am doing and getting quiet because in getting quiet I get centered on what is truly important in life. Relationships are everything - My relationship with God, my family, friends and colleagues. I am someone that has to continually work on having a more balanced life. Many days it is too elusive. Tell me about your most favorite nursing job and why. That’s too hard because I have loved all the jobs I have had and currently have. It isn’t my nature to stay in a job that I don’t fine enjoyable and fulfilling. But if I had to pick one that was a favorite it would be my first time working in an Intensive Care Unit. I know it sounds strange to some nurses but I never laughed as hard as I did with those nurse colleagues and I still have recipes from some of the best food. We didn’t just work together; we shared many special moments during that time. What advice would you give to new grads starting out? So, especially as you are starting out, try as many new things as you can. You will learn about things but more importantly you will learn things about yourself. I devoted a chapter in my book “Unconventional Nurse Going From Burnout to Bliss” to how important it is to become comfortable being uncomfortable. Don’t ever settle because you deserve a life and career that you love and are excited about! Squished in the middle seat on my flight to New York this week, I caught up on my reading. Empty Hands by Sister Abegail Ntleko was recommended to me last month when I was in Nepal. I am a sucker for non-fiction books and biographies. They inspire me while giving a little nudge about reality and history. Just as I was inspired by The Boys in The Boat by Daniel James Brown, I found myself moved by Sister Abe and her journey to save children orphaned by AIDS in South Africa. I am hoping to meet Sister Abe next weekend in San Francisco during her book tour. We are both Nurses and that is probably where our commonalities end. Sr. Abe was raised in a rural village in a hut that she and her family built with cow dung and sticks. Even during the worst storms, I never questioned the shelter of my home. Her mother died in childbirth when Abe was three and a half years. I have been fortunate to be swaddled in my mother’s love well into adulthood. Access to education was the norm for me while Abe fought obstacle after obstacle to be educated. One thing we had in common was that we both had fathers that were very proud that we were Nurses. Ubuntu is a Zulu understanding that you are here to help others and others are here to help you. Sister Abe has taken that philosophy to heart and transformed the care provided to people of South Africa. She faced challenges to overcome poverty, racism, sexism and even ageism to save children orphaned and infected with AIDS. She has personally adopted children with AIDS in addition to creating a home for over eighty children. She received the Unsung Hero Award of His Holiness the Dalai Lama in 2009. While we have made tremendous improvements to the ethical and medical treatment of patients with AIDS, Sub Saharan Africa trails behind after years of governmental ignorance. I’m looking forward to getting inspired by this incredible humanitarian nurse. If you are in the San Francisco Bay Area, come join one of these events. Bay Area Events with Sister Abegail Ntleko. Empty Hands Available at Each Event. This is a free event, but guests are encouraged to RSVP. If you are not local, you can get her book on Amazon. You may recall I interviewed Elizabeth Scala a few months ago to help promote her book Nursing From Within. Click here to read the interview. Well her creative juices didn’t stop there and she is now releasing a new book. In Your Next Shift: How to Kick Your Nursing Career into High Gear, Elizabeth shares her struggles and celebrations on her path from leaving the bedside of psychiatric nursing towards nursing entrepreneurship. She refers to herself as a visionary and offers tools, including universal laws, affirmations and reflective questions for nurses to identify what is blocking them from taking the next step. She has some wise advice and I guarantee you didn’t learn this in nursing school. I would recommend checking her book out if you are interested in nurse entrepreneurship. As someone who has embraced change and opportunity in several different nursing specialties, I would also suggest this book to nurses that plan to stay at the bedside but are looking for greater work satisfaction. This book may serve as a catalyst for change.